Think you’re ready to pitch your startup to VCs? There’s no need to be nervous -- you’re just going to articulate your vision for a game-changing business idea in front of successful industry professionals with deep pockets that could potentially make or break your business. All kidding aside, our upcoming Dreampitch: Toronto competition, which will be part of World Tour this May, could mark one of those moments where any entrepreneur would want to make the most of the opportunity. But as any startup founder will tell you, making a great pitch is almost as much of an art as executing on the idea and running the actual business afterwards. Concise: A pitch competition doesn’t give you hours or days to walk through the finer points of your business model, your strategy and so on. It’s got to be long enough to make a compelling case but short enough that the judges will stay engaged. Customer-focused: If whatever a founder is pitching seems at all esoteric or disconnected to what real organizations or people are going through, it’s not going to make sense as an entity worth supporting. Show whose problems you’re solving, and how. Credible: There’s always great data behind the best startup ideas. Whether quantitative, qualitative or a mix of the two, you should come armed with information that backs up whatever angle you’re taking to build a successful business. Let’s say you’ve got all those bases covered, but you’re still apprehensive. If you’re selected as a Dreampitch: Toronto finalist, the only way you’ll deliver a home run is to practice. If you need to loosen up or give yourself some extra motivation, we’ve developed a few creative ways to make the preparation a little more fun. Try these out as you fine tune your pitch. Some startups truly change the world -- to the point we can almost take them for granted or discuss them without a lot of background context among friends and colleagues. At one point or another, though, the founders behind these companies were making pitches too, and they needed to follow the three C’s just as closely. Take one of these startups and go back in time. Imagine you were pitching their idea, instead of your own. How would you summarize the key elements of the value proposition? What would you say about its customers and their pain points? What kind of data would have existed at that time, before the results became obvious to the world? If you can make a pitch for something that’s already proven itself, you may get better at pitching your own idea. For a little extra credit, see if you can find any of the actual pitches by the founders of the startup you chose on YouTube or elsewhere, and see if you overlooked anything you could apply to your actual pitch. While there have been a few innovative companies that have had their stories travel to the big screen, the odds are generally pretty slim that Hollywood will cover your startup. The powerful thing about the movie business, though, is how producers create not only the full-length version but trailers that give you just enough details to make you want to buy a ticket. If you were pitching a startup to a movie studio versus something like Dreampitch: Toronto, how might you tell a story where the hero (your customer) overcomes the odds by working with the products and services you’ve developed based on technologies like Force.com, Heroku and Lightning? What would be the handful of lines that would be used to get the plot and the promise of the story across if it was featured in a movie listing? If you make it to our World Tour stage, you may wind up using very different language in pitching to the judges, but this isn’t a bad method to brainstorm a more compelling teaser for what your startup will accomplish. Yes, startups often have to make their pitch to investors and many other stakeholders, but if they reach their goal they’ll be spending the majority of their time trying to close deals with actual people and organizations. So why not jump ahead a step -- at least in your imagination -- and pretend as though you were sitting in front of one now? It’s one thing to talk about customers in the abstract, as a third party to whom you’re going to sell. When you’re actually pitching them as though they were considering a purchase, though, you’ll winnow down your ideas to only the most important points -- the ones that would be convincing enough to make someone reallocate a part of their budget to your incredible product or service offering. As you run through this exercise, think about what the imaginary customer might say to counter your arguments or poke holes in your pitch. Make them as real as possible -- maybe basing them on the data you had dug up in your initial research. If you can successfully address all of their concerns, you have a much better chance of doing the same thing with the judges at Dreampitch: Toronto. Perfecting a pitch is almost a rite of passage for startup founders. One way to get to where you want might also include connecting with colleagues in non-competing firms who have learned what works (and what doesn’t) in front of a discerning group of experts. In general, test-drive your pitch with whomever might be able to offer valuable feedback or constructive criticism. And as much as you’ll likely revise what you say, always leave in your passion for the idea. 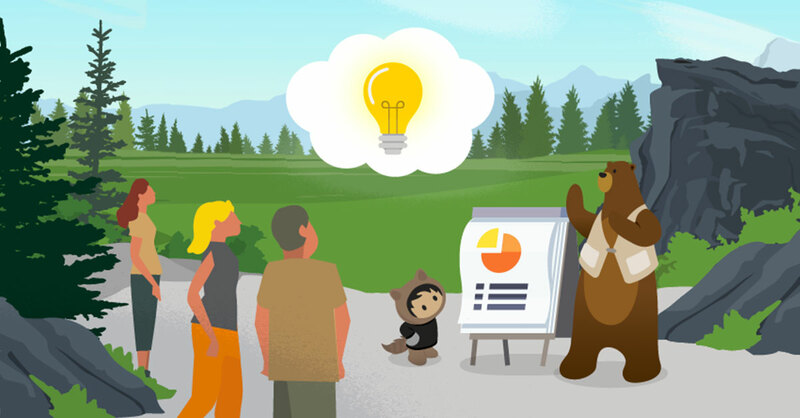 If you’re transforming the customer experience, you’re doing something really exciting -- and your pitch is just one way to let you share that excitement with the world.